Jacksonville's Property Management Company of choice since 2004. What can your home rent for? Nest Finders Property Management - Managing Your Rental Property with Transparency and Integrity. Unlike many other property groups, we focus exclusively on Jacksonville Rental Properties — we’re not focused on sales and doing rentals part time, we’re property management experts focused on managing/leasing your Jacksonville rental property full time. Get your financial statements, leases, and important documents whenever you need them, with round-the-clock account access. Need something more? Our staff is easily accessible, and always ready to answer your call. Regular Rental Property inspections help ensure we identify problems in all of our Jacksonville rental properties before they escalate. We don’t simply tick boxes on a list—our team performs an in-depth analysis. 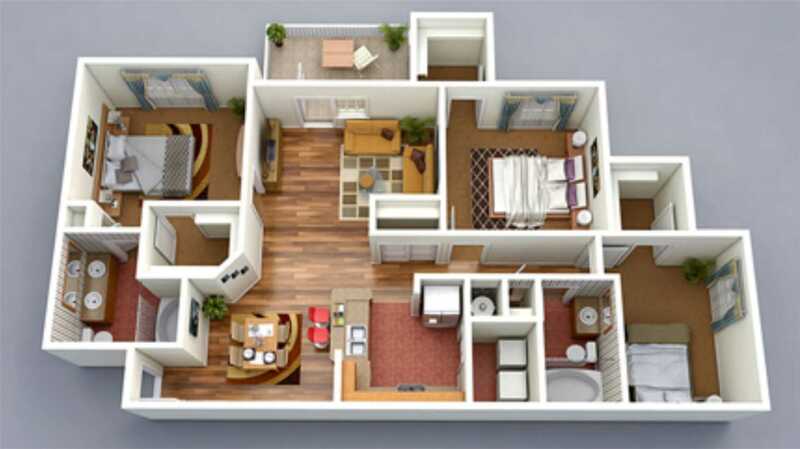 Complete with Rental Inspections saved to the cloud you can view anytime. No secret surprises! With our clear-cut pricing, you won't find any hidden fees, locked-in contracts, or penalties for cancellation. And our great vendor relations mean savings that are passed on you! We're now offering state of the art 3D Virtual Reality Tours. A high quality. Immersive experience that will give your listing the wow factor and extra edge you need in a competitive market! What is NestView? Show off every detail of your property to prospective buyers/renters! NestView virtual reality tours offer an immersive, interactive listing that will bring more definitively interested prospectives to your property. It also allows for more flexibility in showing schedules, increasing your property’s exposure. This transparent, immersive experience will set you apart in a busy market, and draw in the best leads. We guarantee the Tenant will stay for at least 9 months, or we find a replacement FOR FREE! You pay what we pay for repairs and maintenance. We also negotiate special rates with the best vendors! Pay us only after you get results. You don't pay us a dime until your property is rented and rent is collected. You're not obligated to lock into any long term contract with us. Give one of our packages a try, love it, or leave it! "Nest Finders Property Management was a pleasure to work with and very professional. They found quality tenants for my home and handled all of the background checks in a timely fashion." "No Landlord should be without this fantastic and dynamic team! St. Augustine and Jax areas are extremely lucky to have these services available! 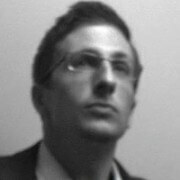 Blakely, along with his team of experts, provide outstanding services! Thank you Nest Finders Property Management!" 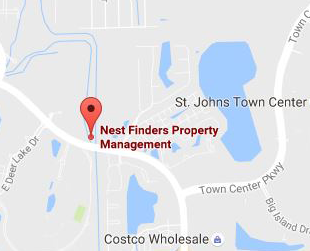 With nearly a decade of experience serving landlords across Duval and St Johns County, Nest Finders Property Management has rightfully earned its spot as one of the area’s top property management groups. Our talented staff possesses a keen understanding of our local community, and we work diligently to provide unparalleled customer service to our clients and tenants alike. Come discover what makes Nest Finders Property Management the region’s favorite property management service. Call us today at (904) 565-9040. Discover why hundreds of property owners across Greater Jacksonville have entrusted their rental homes to our talented team. From vacancy advertising and tenant screening to maintenance and rent collection, we have you covered.